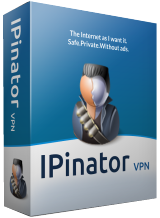 IPinator VPN LT is an extremely lightweight VPN software for Windows PCs. iPinator VPN LT 6.0 was available as a giveaway on May 12, 2016! IPinator VPN LT is an extremely lightweight VPN software for Windows PCs. Lightweight meaning that all you need to do is install it and click on connect. That’s it, you are now browsing the web securely from an alternate IP location. This is extremely useful for anonymity and for security while in public Wi-Fi locations. Locations available: Amsterdam, North Holland, Netherlands; Falkenstein, Sachsen, Germany; Frankfurt, Hesse, Germany; Las Vegas, Nevada, United States; Paris, lle-de-France, France; Rotterdam, South Holland, Netherlands; Roubaix, Nord-Pas-de-Calais, France. Get the Lifetime license for the best improvewment idea! Use Idea Informer Widget. How would you improve iPinator VPN LT 6.0? 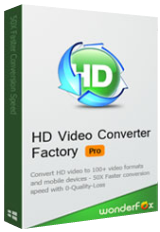 Normally $79.99 annual, only $39.99 for 1 year of premium access which includes over 2000 IP addresses and SmartDNS access for streaming and unblocking video streaming sites + support for 5 concurrent devices. the developer has added resources to the server to make the registration work. Please try to register the program once again. The registration period at the developer's side also was prolonged, so everyone we'll be able to register his copy. Just make sure to have the program installed. GOTD team, Still says that I have an unpaid invoice for $0.00 and gives no way to pay it, so still can't complete and get registration code. my registration from yesterday doesn't allow me to make payments. (still bill is 0.00 Usd but I'm not able to pay with paypal, because nothing is working). and if I try to repeat these steps - I see the following message : "this promotion code is valid only for a new customers..." what shall I do??? GOTD team, my registration from yesterday doesn't allow me to make payments. (still bill is 0.00 Usd but I'm not able to pay with paypal, because nothing is working). and if I try to repeat these steps - I see the following message : "this promotion code is valid only for a new customers..." what shall I do??? This developer failed to provide enough server resources to enable registration despite GOTD's assurances here that this was the case. I tried repeatedly and got different server-related errors at various times. Uninstalling it because I could not register it was a real pain. The uninstall process messed around with other VPN, proxy and my broadband providers software. I had to reinstall the software and use a backup of the ISP's drivers to get my computer working as it had before this atrocious software screwed up things. I use and try a lot of software, I've done beta testing for various well known software companies, ranging from anti-virus to graphics suppliers. I have never used such a rubbish piece of software and it is a very long time since I've used something that left me with such a mess to sort out after removing it. If you're going to use it I'd recommend installing it in a sandbox or on a VM, which is what I should have done. I didn't do this as I read a few reviews on sites that I generally trust, a big mistake, I won't be going anywhere near this company's products again. This developer failed to provide enough server resources to enable registration despite GOTD's assurances here that this was the case. I tried repeatedly and got different server-related errors at various times. Uninstalling it because I could not register it was a real pain. The uninstall process messed around with other VPN, proxy and my broadband providers software. I had to reinstall the software and use a backup of the ISP's drivers to get my computer working as it had before this atrocious software screwed up things. I use and try a lot of software, I've done beta testing for various well known software companies, ranging from anti-virus to graphics suppliers. I have never used such a rubbish piece of software and it is a very long time since I've used something that left me with such a mess to sort out after removing it. If you're going to use it I'd recommend installing it in a sandbox or on a VM, which is what I should have done. I didn't do this as I read a few reviews on sites that I generally trust, a big mistake, I won't be going anywhere near this company's products again. After all signing up, two emails came - One "invoice payment confirmation" and the other one "Welcome". No registration key was provided. I will delete this installation if I don't get a registration key by midnight! Doesn't fool Opera or Chrome (both report the real IP) and Firefox blocks the Proxy as unsafe. Maybe it would be good for the web always put forward the activation conditions. In some ways I disagree. And I would not have wasted a download before doing an ad for FCB. Applies generally, not just for this software. Well usually I have good news as far as downloading and installing giveaways but not this time. I try and try to get to the page I am suppose to go to after installing but continue to get critical error. I'm not giving up yet will try a few more times and if I don't have any luck I will be jumping on my FB page and tell my friends to sray far away from this program. Okay After several tries to refrsh and get into the site to get the rest of the info I needed I had sucess. After I got onto the first page and followed instructions it went very smooth and my license key was in my email as soon as I finished. Ok Back again after trying this program. It shows a list of what VPN's you can use with this version and there are 4 USA VPN's and it will not let me connect to any of them in fact it kinda took over and put me in Holland. That does me no good what so ever I wanted USA and every time I try to click on a USA VPN it says this is only for premium version which is not true they show 4 USA that are marked for this version. So think I will be uninstalling this proggy as it seems to only want to dowhat it wants to do and not what Iwant. To bad I had high hopes for this and if it had worked as stated I probably would have bought the upgrade. Thanks again GOTD not your fault but the programmer and site for this program. It won't let you use any other VPN than the one in Holland that they pick for you. Then when you try to get back to the main site a pass word and username box pops up you put in the one they sent you and it doesn't work. I have given this proggy the benefit of the doubt all day and as far as I can see it's a piece of junk. Why cause you can't use it and there is absolutely no way to get back into the home site. I am uninstalling after I post this. Well usually I have good news as far as downloading and installing giveaways but not this time. I try and try to get to the page I am suppose to go to after installing but continue to get critical error. I'm not giving up yet will try a few more times and if I don't have any luck I will be jumping on my FB page and tell my friends to sray far away from this program. Sorry GOTD I hate to say bad things but this just seems to be bad Okay After several tries to refrsh and get into the site to get the rest of the info I needed I had sucess. After I got onto the first page and followed instructions it went very smooth and my license key was in my email as soon as I finished. Thanks GOTD it did have to offer for a lifetime license at a reduced price but after reading how others had problems and then I had problems I decided to try the free version first to soo how well it works Ok Back again after trying this program. It shows a list of what VPN's you can use with this version and there are 4 USA VPN's and it will not let me connect to any of them in fact it kinda took over and put me in Holland. That does me no good what so ever I wanted USA and every time I try to click on a USA VPN it says this is only for premium version which is not true they show 4 USA that are marked for this version. So think I will be uninstalling this proggy as it seems to only want to dowhat it wants to do and not what Iwant. To bad I had high hopes for this and if it had worked as stated I probably would have bought the upgrade. Thanks again GOTD not your fault but the programmer and site for this program. It won't let you use any other VPN than the one in Holland that they pick for you. Then when you try to get back to the main site a pass word and username box pops up you put in the one they sent you and it doesn't work. I have given this proggy the benefit of the doubt all day and as far as I can see it's a piece of junk. Why cause you can't use it and there is absolutely no way to get back into the home site. I am uninstalling after I post this. I'm not sure what the developer may of added in regards in resources to help make the registration work better. However with so many hours having passed, once again I tried the link in the read-me file... only to be told "Authentication Required" and is asking for a user name and a password. I do understand that things happen on the www that are sometimes out of our control, but this does leave some questions as to the reliability of the software. On a side note, no one seems to have posted any information on how long the license maybe of been valid for or what restrictions are in place. Thanks for the effort GOTD Team. I'm not sure what the developer may of added in regards in resources to help make the registration work better. However with so many hours having passed, once again I tried the link in the read-me file... only to be told "Authentication Required" and is asking for a user name and a password. I do understand that things happen on the www that are sometimes out of our control, but this does leave some questions as to the reliability of the software. On a side note, no one seems to have posted any information on how long the license maybe of been valid for or what restrictions are in place. Thanks for the effort GOTD Team. Doesn't seem to work. It says it is on and hiding my IP but a stop at network-tools.com shows my real IP. Finally got through the registration process, which should be unnecessary to have to essentially go through a purchase process and give away all manner of information that you should not have to in order to test the program. Then I tested it and wished that I hadn't bothered. It doesn't matter what server you choose, it will not allow you to without getting a pop-up about signing up for a premium service plan. Another good example of an offering that is not available and therefore has no price that can be put on it. So when you connect, your new location is chosen for you and connection is quite fast. However, once connected, the speeds are so slow that it is practically pointless. When I disconnect, no web services are available until I reboot. Uninstalled and not a service that I am ever likely to visit again for a long time and most certainly won't recommend. Finally got through the registration process, which should be unnecessary to have to essentially go through a purchase process and give away all manner of information that you should not have to in order to test the program. Then I tested it and wished that I hadn't bothered. It doesn't matter what server you choose, it will not allow you to without getting a pop-up about signing up for a premium service plan. Another good example of an offering that is not available and therefore has no price that can be put on it. So when you connect, your new location is chosen for you and connection is quite fast. However, once connected, the speeds are so slow that it is practically pointless. When I disconnect, no web services are available until I reboot. Uninstalled and not a service that I am ever likely to visit again for a long time and most certainly won't recommend. First of all it took several hours to get the program installed. Now I have installed and uninstalled again and again this program on two different laptops. After the install I got as far as enabling the full version, and I was able to connect to a location I chose - even managed to get it to connect automatically to the same location. But then some new problems started. Now I am unable to choose a location, I can't even hide my real IP. No premium service, no selecting the desired location, actually no nothing. The program is unstable, not able to start, and if it starts then it stops randomly. If I right-click on the icon, it gives me options to upgrade to premium and enter full license, yet it says in the programs own box that full version is enabled. Is this just a non working software that should be uninstalled, or is there something I (we) are doing wrong? Is there a way to share the VPN connection from my laptop to my Smart TV? I tried, but without any luck. At first I thought that I could pay for this program, but not when it "works" like this. First of all it took several hours to get the program installed. Now I have installed and uninstalled again and again this program on two different laptops. After the install I got as far as enabling the full version, and I was able to connect to a location I chose - even managed to get it to connect automatically to the same location. But then some new problems started. Now I am unable to choose a location, I can't even hide my real IP. No premium service, no selecting the desired location, actually no nothing. The program is unstable, not able to start, and if it starts then it stops randomly. If I right-click on the icon, it gives me options to upgrade to premium and enter full license, yet it says in the programs own box that full version is enabled. Is this just a non working software that should be uninstalled, or is there something I (we) are doing wrong? Is there a way to share the VPN connection from my laptop to my Smart TV? I tried, but without any luck. At first I thought that I could pay for this program, but not when it "works" like this. Okay, after repeatedly reloading the pages to get past the numerous database errors, I finally managing to set up an account . . . only to have them immediately send me a cleartext email containing a copy of my login info, including my password. I'm supposed to trust a VPN service from a company that's that clueless about security? Okay, after repeatedly reloading the pages to get past the numerous database errors, I finally managing to set up an account . . . only to have them immediately send me a cleartext email containing a copy of my login info, <i>including my password</i>. I'm supposed to trust a VPN service from a company that's <i>that</i> clueless about security? For all locations I need a subscription to Premium 3.99 $/month . I suppose this program is not free in Europe. They had to mention it ! If you got it to do anything your lucky. I keep clicking on download and it does nothing! Thanks anyway GOTD. I'll check back later to see if it's working. Is this a "true" VPN? Mean- will it put ALL the traffic via VPN, or only the browser's traffic? Also- is the traffic encrypted (mean- will my ISP be able to monitor the traffic)? I have a question ti the developer: Is this a "true" VPN? Mean- will it put ALL the traffic via VPN, or only the browser's traffic? Also- is the traffic encrypted (mean- will my ISP be able to monitor the traffic)? Thank you in advance. I had Anonymox on my Google Chrome browser, but frankly, I soon took it off, when it started informing me that it was "throttling" my speed (presumably because I had unknowingly used it -- too much). Perhaps I should have found the way to turn it off, as frankly, where I am in Asia it is sophisticated enough not to be a problem to go wherever I want -- well, except for the BBC's iPlayer! And I don't even know if it would help with that, anyway. The point is, Anonymox throttling whatever I was doing was just a nuisance -- for me, at least. So I don't think I am likely to find it useful to install this, similarly "lightweight" version of another VPN. Because that is the problem with "LT" versions of VPNs -- at some point you are likely to lose the very speed for which you are paying your ISP. Really wished to try the today’s giveaway. Unfortunately- I don’t have all day long to refresh the browser- all I get when try to retrieve the license key is: “ERROR 500 - INTERNAL SERVER ERROR”. If the developer’s server could not hold a traffic like this- how they are going to provide me with a streaming traffic via VPN? Good try, IPinator.com… But… way to go! Really wished to try the today’s giveaway. Unfortunately- I don’t have all day long to refresh the browser- all I get when try to retrieve the license key is: “ERROR 500 - INTERNAL SERVER ERROR”. If the developer’s server could not hold a traffic like this- how they are going to provide me with a streaming traffic via VPN? However- thank you GOTD. Good try, IPinator.com… But… way to go! I finally got the software registered after about 15 tries. It appears that the LT version does NOT allow user to select city where connection will be made; the software automatically selects for you. Seems you need premium service for this capability. Is this how it works for you? Too bad because I wanted to connect to city outside USA. I finally got the software registered after about 15 tries. It appears that the LT version does NOT allow user to select city where connection will be made; the software automatically selects for you. Seems you need premium service for this capability. Is this how it works for you? Too bad because I wanted to connect to city outside USA. ".....you are now browsing the web securely from an alternate IP location." If I understand this correctly, this program allows us to SQUAT on the IP addresses of the Europeans and some Americans in Las Vegas. Sorry, but this is sleazeware. Like Slipper, I use Hola. So far no issues. I disable Hola extension when I don't need it. Which is like 95% o the time. My PC is not on 24/7 for 365 days a year. I only turn it on why I need to. Someone upload stuff using my Internet IP? No chance. My bandwidth way too small and usage is intermittent. So does Google. So what? Who cares? Like Slipper, I use Hola. So far no issues. I disable Hola extension when I don't need it. Which is like 95% o the time. My PC is not on 24/7 for 365 days a year. I only turn it on why I need to. Someone upload stuff using my Internet IP? No chance. My bandwidth way too small and usage is intermittent. Some one tracking me? So does Google. So what? Who cares? If I want to remain anonymous I use Epic Browser with it's built in VPN & it's easy to turn on or off. One HUGE problem that I've noticed is that you can't turn off the program. Even if you exit the program, it's still running in the background. I even went in and killed with my file manager and it pops back up immediately, I don't like that. This is not a real VPN. It only hides your browser and selected tools. A real VPN hides all your traffic! The original reason for a VPN is that it keeps the traffic between your device & whatever it's connected to online private. Otherwise your ISP [or a criminal] for example could monitor everything. The reason *maybe* more people use them is if/when you use public Wi-Fi or hotspots -- criminals often set up fake hotspots, often with a stronger signal than the legitimate network, or they might simply take over that legitimate network. Some people use VPNs as Proxies to hide their IP address -- while this takes advantage of the VPN's servers acting as a proxy, you don't need the VPN part to do that. A decent article on things you should look for was posted recently on a Kaspersky blog. And we broke it. This company wasn't ready for primetime. When it's servers can't even handle a small influx of people signing up for it's software, how is going to handle daily use? nomadss1, That is a good point. My real ip address still shows up using WebRTC leak test, so i needed to install WebRTC leak prevent extension for google chrome, i think you need to use' force proxy' setting in extension. After jumps through hoops to get this done, I don't have the registration key. I have 2 e-mails saying 1. welcome and 2. the invoice. The Readme text said, it would be e-mailed to me. How do I get the registration key??? Any VPN that offers your their light edition is going to cap your bandwith. Thanks Giveawayoftheday day otherwise, but I will pass on this offer. And yesterday you deleted my comment. Why? I value my right to free speech more than I value your site, just so you know. I could not pay my bill. In the Client area I see it UNPAID, but when I click on the "make payment" button - it shows me a page with details and I can only download a PDF of my bill but could not pay 0.00 $ and therefore I could not obtain the license!!! My browser add on gives me vpn in many countries. Works well. Is this one faster? glnz, Using Hola in Chrome. Using Browsec in Opera. "My browser add on gives me vpn in many countries... Using Hola in Chrome. Using Browsec in Opera." Did you know you don't need an add-on or extension with Opera? They've added their own VPN to the developer version or edition. Hola was yet another reason why the blindly trusting usage of *any* VPN is never to be recommended. Do your research first, sign up afterwards. @ slipper: I'm very, very surprised to find anyone on here using Hola. Alarm bells were rung loud and clear last year but perhaps you missed them? If so, you should either consider the warnings that any search engine will throw up or go here: <b>http://adios-hola.org/</b> Hola was yet another reason why the blindly trusting usage of *any* VPN is never to be recommended. Do your research first, sign up afterwards. slipper, Never use Hola. When you do, your system is part of the network, and your ISP may see exit traffic from your IP to sites that could put you under legal consequences. This is free in Developer's browser. For the Opera Stable, it is not free. They offer a paid service called SurfEasy VPN. mike, This is free in Developer's browser. For the Opera Stable, it is not free. They offer a paid service called SurfEasy VPN. "You have this type of software for a smartphone or can i download this on my android smartphone"
As a result of bitter experience I would recommend a backup of system partition are before installing this type of program. I had Hotspot Shield installed and it stopped working, after uninstall I was no longer able to connect to the Internet from that drive. All the data in local area connection had disappeared and so far have been unable to repair. As a result of bitter experience I would recommend a backup of system partition are before installing this type of program. I had Hotspot Shield installed and it stopped working, after uninstall I was no longer able to connect to the Internet from that drive. All the data in local area connection had disappeared and so far have been unable to repair. "As a result of bitter experience I would recommend a backup of system partition are before installing this type of program. I had Hotspot Shield installed and it stopped working, after uninstall I was no longer able to connect to the Internet from that drive." Good advice, have you tried the Opera Developer version with VPN built in? Since only the browser uses the VPN, there's no muss nor fuss for Windows. OTOH since your other software connects normally rather than through the VPN it's not protected. Tata, <i>"As a result of bitter experience I would recommend a backup of system partition are before installing this type of program. I had Hotspot Shield installed and it stopped working, after uninstall I was no longer able to connect to the Internet from that drive. "</i> Good advice, have you tried the Opera Developer version with VPN built in? Since only the browser uses the VPN, there's no muss nor fuss for Windows. OTOH since your other software connects normally rather than through the VPN it's not protected. HotSpot Shield has a truly attrocious subscription system and assumes the user is logged on from the moment they buy one years worth of connection (but users can buy up to 5 years at a time). I consider it one of the biggest wastes of my money. For example one company I have found and tried, offers a lifetime VPN connection for 5 PC's/5 users in other words you don't have to all use the one internet connection) for a once off purchase of $39.95 USD & the website where you buy it from even has some small discounts too) and there is no throttling, four of their servers even allow bittorrents (4), and they have servers (over 50) in many countries even some south of the equator: for example Africa, Europe, Scandinavia, UK, Middle East, Asia (Japan, Hong Kong, Thailand, Malaysia, Singapore), oztrayya, South America(Brazil), Canada, US of A, etc. Does it offer tunneling between my pc and their server? Cannot register the product. Keep getting: Critical Error Could not connect to the database. This version is described as 'LT' which I assume means light. What features or facilities are missing, reduced or limited in this give-away version? I can find no reference to the 'LT' version on the site so felt it would be of value to ask. after a few tries... registration done.... i just want know more about this giveaway..... if have limit of band(traffic) or etc? Ho-Hum. I will post this comment as I have for at least five other giveaways. If your email address contains a period / dot [. ], you will NOT receive a download link via email. However a hyphen / dash / minus [-] in the email address is ok.
Perhaps someday this will be remedied. My email has a "." in it (between my first name and surname) and I have never had any difficulty in downloading from GAOTD - and I don't have Facebook. Michael Cox, My email has a "." in it (between my first name and surname) and I have never had any difficulty in downloading from GAOTD - and I don't have Facebook. Michael Cox, I've been receiving the download links with my "dot" just fine - ever since they began the "Facebook or email for a download link. Haven't missed a download. server must be jammed. hopefully they will extend registration period. I can't activate the free license? ?